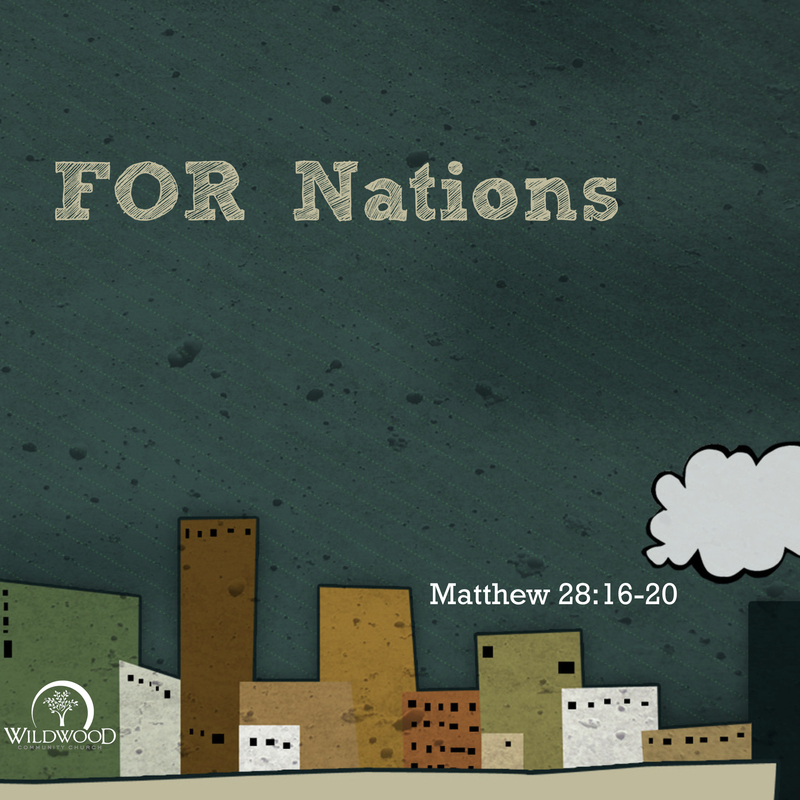 On Sunday, January 28, 2018 at Wildwood Community Church, I preached a message entitled “For Nations.” This message was based on Matthew 28:16-20 and was part 3 of the “FOR” series. Below are a series of questions related to the message for personal reflection or group discussion. Have you ever been tempted to think that the task of evangelism and missions is only for the “Christian Navy Seals” and not for all of us? Have you ever been tempted to think that God cares more about people from “Christian” backgrounds than from those growing up in non-Christian backgrounds? Have you ever been tempted to think that it is somehow arrogant to believe that Jesus is THE Way, THE Truth, and THE Life? How does Matthew 28:16-20 encourage you that the task of evangelism/mission is for all, to all (and legitimately so)? What is one thing you could do to intentionally change your perspective on the world and get involved in evangelism/missions? Interested in finding out more information about outreach opportunities at Wildwood? Text: outreach18 to 95577 to begin receiving our monthly bulletin of outreach opportunities. What is one particular application you took away from these passages/message?